On this episode, we’re going to be doing an AMA, Ask Me Anything. If this is your first time tuning in, AMAs are when I have the utmost pleasure of connecting with either seasoned or former consultants and they give you advice. Our guest is Ron Carucci. He is the Managing Partner of Navalent, a consulting firm. He’s also an author as well as a TEDx speaker. We have a cool and candid discussion about Ron’s career journey and discussed a couple of different topics, particularly around transformational initiatives and some of the challenges with those types of projects, and so much more. I’m also super thrilled and excited to share with you that The MECE Muse book is available on Amazon Kindle. With our launch, we’re going to be running a limited price of $1.99 for the book. For the Kindle version, the full price is $9.99 in the future, but we’re running it at $1.99. We will continue to scale the price, so it’s a limited time. I’m very excited that we have gotten to this point. The paperback will be available on Amazon, so stay tuned for that. The paperback, once it is available on Amazon, it will be for a pre-order. We will be taking pre-orders and shipping books starting February 20th, so stay tuned for that, go-getters. I’ve been having a lot of people asking me lately about how I started on this journey. 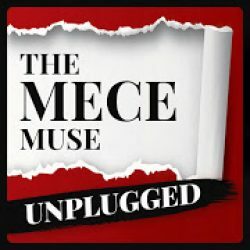 I do recommend if you haven’t, go ahead and check out episode one, the intro episode of The MECE Muse Unplugged Podcast show. I delve deep into my journey and how I’ve been scaling the mission of being the mentor that I wish I had. With that, let’s get started with the episode. We’ve got Ron Carucci of Navalent Consulting. Ron, thank you so much for joining us on The MECE Muse Unplugged. How are you doing? Christie, it’s great to be with you. Thanks for having me. What part of the world are you currently in, Ron? Before I have you introduce yourself, I did want to share that you have hit a superlative on our show, given that you are the first consulting partner that we have on The MECE Muse Unplugged, so I’m excited for this conversation. Maybe with that you can introduce yourself to the go-getters of The MECE Muse Unplugged. My name is Ron Carucci and I spend my days with my firm, Navalent, traipsing the hallways of large and small organizations. Mostly our engagements are around very messy, high-risk, high-visibility transformation. Usually at the enterprise level, a CEO or a senior executive has some mandate or some charge to either preemptively create change or in response to some unforeseen disruption, create change. At the intersections of strategy and organization and leadership, we accompany them on that journey. Usually it’s a couple of years to help them find some aspired future that they otherwise might have missed. I’m doing the same type of consulting work, so I know that you’re doing extremely meaningful work which is great to hear. Ron, before we talk specifically about how you started your company, maybe you can let us know how you got started in consulting, and if it’s been everything you expected it to be. We’re going to have to go back a lot of years. Like many change practitioners, I spent a good number of years inside corporations. My first job out of college was with a non-profit consulting firm, so I had a taste of what it meant to be outside of organizations early on, but then I came back inside. For the next ten or eleven or twelve years, I struggled. As passionate as I was about organizations and improving them and improving the integrity of how they worked together and how they synchronized together, the political landscapes can be difficult. An ancient wise prophet once said, “You can’t be a prophet in your own land.” I learned the hard way that in order to do the work we do well, you have to tell the truth. You have to shed spotlights on things that organizations often conspire very hard to cover up. I realized after a third attempt at a big corporation that if I was to live out my passion for organizations and express my desire to make them better places to work, I was probably going to have to do that by not being part of one. I realized that what got me in trouble inside companies got me paid well. The same activity got me paid well outside them, and so began my career as a consultant officially after realizing that the same type of work inside companies, in the way, I wanted to practice it. There are lots of great practitioners inside companies doing fabulous work, but for the kind of change I wanted to provoke, I realized that I was best going to be positioned outside of a company. I have spent lots of years as an independent, solo practitioner, as part of a mid-sized boutique firm that later was acquired by a very large firm. I’ve done mid and large-sized consulting. After 9/11, there were some other challenges in our industry then. We decided to live the dream by saying, “Let’s go start our own boutique firm.” That was about thirteen years ago. Maybe you could shed some light on what are the skills that made you successful being an internal consultant versus those that make you more successful as an external client-facing type of consultant. If you can share the differences, that’d be awesome. If you’re inside a company, you have the requirements of being part of a political landscape. You’ve got to be somewhat savvy. You can’t pull your punches and be some native that you’re not provoking change. At the same time, you’ve got to also recognize that the people who are your clients are also your bosses. That requires a more delicate relationship management skill. The decisions you’re de-risking have to do with your expertise. Outside, we’re de-risking financial decisions, but inside, you’re de-risking a relational decision. Your competence and the depth of your capability becomes your selling feature. You have to amass a track record of results that impact. You’re also with those organizations for longer periods of time, so unlike a consultant who may come and go in six months or a year, the results of your work will go on for many years with you. You’ve got to be able to have much more staying power and resilience to follow through on your projects and keep up with your internal clients. Often, internally, you’re managing enterprise-wide processes, you’re managing the succession or strategy or other types of core processes that are repetitive. How you’re continually improving those processes, how you’re making them better for the purposes of showing and demonstrating your own continued impact also become important. As an external consultant, you’ll be with an enterprise for a defined period of time and you’ll go. It’s a different type of risk that leaders are engaging in when they hire you. What would you say is your definition of a great consultant? 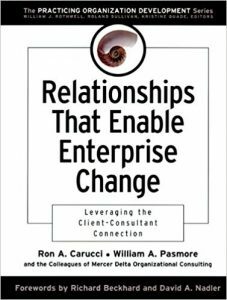 Back in the 2000s, one of my first books was The Value-Creating Consultant, and its sequel was Relationships That Enable Enterprise Change. At the time, our industry was taking a well-deserved punching from the world. You had books like Witch Doctors and Consulting is Insulting, and a lot of literature and research on the horrors and the exploitation of our industry. It was painful to be associated with that kind of behavior, and for me and some colleagues we thought, “There’s still got to be value we can add. What is it that we can do that’s helpful?” We did a ton of research on consulting engagements and the relationships between consultants and the clients to understand what was it that set great consulting apart, that distinguish them from bad ones. There were a couple of things. One is, too often, consultants believe of becoming like a messiah. “I’m here with an answer that you need,” versus the consultant that acts like a partner and is there with better heart and harder questions. Too often, consultants, especially if you’re with a firm, have to create dependency. “My revenue stream, my income, my incentives are attached to the longer you hire me, which means I have to make you helpless and more dependent on me,” rather than a great consultant that works himself or herself out of a job by making you more capable. Finally, there’s the consultant that is the rubber stamp. There’s the one that tells you what you want to hear, the one that ratifies your already pre-determined point of view versus a truth-teller, the one that comes in and gives you an honest, unfiltered look at reality, however painful that might be. If you’re a consultant and you’re not willing to be those things, a true partner, a true capability builder, a true truth-teller, you shouldn’t be in this business because all you’re going to do is perpetuate the bad reputation many consultants already have, of being people who come in, charge millions of dollars, leave lots of un-implementable binders and answers on shelves that never get looked at again, and don’t leave the organization better than you found it. What was a story or an experience that you had that maybe shaped some of the core values that you mentioned about being a great consultant? When I was still internal, my last stop on the train as an internal consultant, we were working with a technology company and we were in the IT department which had all kinds of executional challenges. The leadership of that group was notoriously not a great group of leaders to work with, lots of turnover in the department, lots of quality issues. We did a fairly in-depth diagnostic of the organization through some interviews and some surveys and indeed, the data revealed that there were some problems on the dimension of integrity. At the aggregate level of the data, you saw this little dip in the bar of integrity. One of the leaders who was quite corrupt, he had his own cronies of people who were there to protect him. In the meeting when we were discussing the data, one woman in his corner stood up and immediately began to try and discredit the data by saying, in all kinds of statistical language, “Tell me about the R factor of your data. What is the reliability and validity statistics? How do we know this data is even meaningful?” It was an attempt to discredit the data. I thought, “This is a pretty defining moment for me. I can take this bait and cave, or I can tell the truth.” I answered her questions. I said, “Let me tell you about the validity and the reliability of the statistics of the data. It’s pretty high. It correlates at a 0.8. The data is representative of about 80% participation rate.” I gave her all the technical answers to her question. I said, “Let’s go ahead and test your theory that integrity is or isn’t an issue in your group.” I said to the group, “By show of hands, how many people in this room have never lied to somebody else in this room?” Nobody raised their hands. I looked at her and I said, “I guess we know what the data is telling us, don’t we?” It was a very powerful moment for me and my team and for those in the organization feeling oppressed and feeling like they had been silenced and feeling like they were not able to have a voice. Politically, it didn’t work out too well for me later, but I realized that’s the kind of change I want to provoke, but the risk of provoking that kind of change as an insider was probably too great. People don’t realize the aspects of transformational change. Sometimes there is what I call the sacrificial lamb that takes place with large scale transformational programs. You’ve done this a lot longer than I have Ron, but have you ever been able to go through a transformation and there not be that person, whether it’s the consultants are deemed at or the partner or the sponsor? Have you ever seen where there wasn’t that person that gets the hit as a result of the political and collateral damage that comes with change? There are two different types of sacrificial lambs. There are the ones that need to be slaughtered, and the ones that get inadvertently blamed and become collateral damage when they shouldn’t have been. Maybe they were the ones that were trying to be prophets the whole time. I’ve seen both. I think of the transformational programs we design where we create a diagnostic, a very thorough forensic MRI on the front end, helps reveal where those landmines are. The people who have been holding the organization hostage too long or people who have been allowed to perform at incompetent levels too long are forced to improve or are forced to leave. We try to instill the kinds of changes we lead in that direction, rather than some political agenda that some leader has to exit people they don’t like or to get rid of their nemesis. 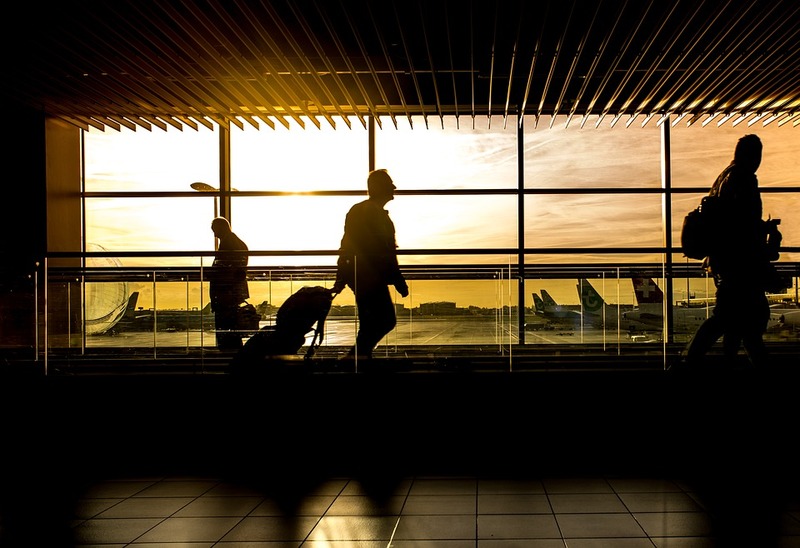 Typically, a lot of that baggage have already happened before we come in, but typically it is part of the way we work. Obviously, we can’t always avoid it, but we hold leaders accountable if there are going to be exits of people in any form, that it’s justified and it’s data-based and rooted in the need for the change you’re aspiring to, not in some other agenda. Ron, I found out more about you when I attended the TEDxBeaconStreet talks, and you gave a compelling talk on organizational transformation. Upon doing a little bit more research, I also found out about the TEDx Talk you did on How To Be More Powerful Than Powerless. Maybe you can give us some context in terms of how you got started with TEDx Talks and why you chose those specific topics. For me, I hired my own coach a couple of years ago as part of the ‘We should all take our own medicine’ belief in how consultants get better. There’s never a time in your career where you’ve arrived. A couple of years ago, I decided I had to sharpen up my game and not rest on 30 years of experience, but try and continue to grow. 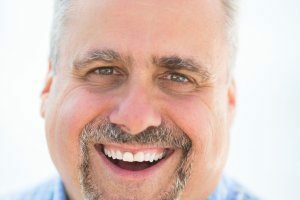 That’s part of how I thought about my work as a thought leader and how to bring compelling insights to my clients stood out on a number of fronts. One of which was how do I use my voice in more outward-facing settings beyond my clients. TED was a great platform for that. 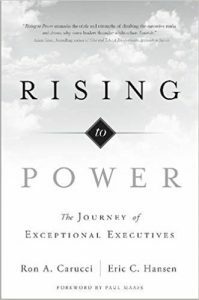 My last book called Rising to Power was based on a ten-year longitudinal study of leaders transitioning into broader roles of influence inside organizations. The reality that we’ve known is that more than half of them fail within their first eighteen months. It was painful for us and we were confused by why that had become so acceptable. Our research set out to find out why that was and more importantly, how could we steer clear of all that carnage and find out what it took to be influential and succeed in positions of leadership. The two TED Talks you were talking about were both based in that research. The first one on power that you referenced was in part because it was such a personal and sacred topic to me. How many of us are sick to death of how many more headlines do we need to see by the day now? They seem to be coming out of one more leader that abused his power for exploitative or immoral or self-interested reasons. It continues. One bad apple does poison the whole bunch. All leaders begin distrusted until proven trustworthy. The reality, and the shocking finding in our research, was that the greatest abuse of power that we found among a 2,700-person sample, was not self-interest, it was not immoral or personal, exploitative gain. The greatest abuse of power was the abandonment of it. They are so fearful of using the power that came with their roles so they simply chose not to. The part of my TED Talk was if we want to stop seeing so many leaders exploit their power for self-interest, more of us who aren’t using our power need to start. A line that you said in the TEDx Talk was that power not being either good or bad but just giving people’s experiences with it, they usually do associate it to one or the other. I thought that was so spot on, because I never thought of power with that type of dynamic. It was helpful to hear the insights from your research. It’s an interesting insight that most of us hear the word ‘power’ and we cringe. Our media association of it is with, as the Alvin Toffler quote says, because of the bad odor that clings to power because of all the misuses it’s been put to, we assume that the minute someone acquires power in any form, whether it’s positional or influential or financial, it will be used for corruption. That’s what the media and headlines tell us so much. We don’t often get to see how many people are using power for great good. Our position of power allows us to bring justice where there’s been injustice. Our relational power allows us to enable others to become and flourish. Our informational power allows us to help change perspectives and broaden views in the world. There is great power to do great good, and the sources of power are available to us if we would embrace and use them. Going back to your company, when you’re hiring new consultants or fresh out of college or early career consultants, what are some of the traits that you look for in these types of individuals that may be go-getters out there that are looking for consulting roles should consider? In our firm, most of our consultants come with some previous experience because of the level at which we play in an organization. We’re a small firm so we don’t bring armies of folks in. The sad part about too many of the larger firms, with all due respect to you aside, Christie, too many consultants get put in backrooms early on and they don’t get client-facing experiences. I would never encourage an aspiring consultant fresh out of undergrad or grad school to go to a place where they’re not going to have any time with clients, because you’re not a consultant if you haven’t got clients. If you’re crunching numbers, doing analytical work, if you’re doing important work that helps other consultants be impactful, that’s great, but that’s hardly going to get you the experience that you need to build your own muscles. There’s nothing more formative than being on the other side of somebody who’s relying on your advice, your expertise, and your views to run their business or their department or their team. You’ve got to get quick experience. Even if it’s pro bono and even if it’s voluntary, get yourself in front of somebody else where your advice matters so you can learn how to build genuine, healthy attachment with your expertise and your credibility. At the end of the day, your relationship with somebody else is the only vehicle by which your insights and advice are translated into credible action. You have to learn to form attachments. I’ve got a great piece in my Forbes column that I write for yearly, on the dimensions of what healthy attachment looks like and how to be influential through those relationships. You’ve got to learn how to come out from behind your tools. Too many early career consultants feel like imposters. They feel like, “Who’s going to want to hear what I have to say? Or I’m so young, they’re not going to believe that I have anything to offer.” They hide behind tools and models and frameworks and data. You cannot lead with those, nobody’s paying you for that. You’ve got to stand on your own two feet and learn to find the efficacy of your own voice. No matter how young or old you are, your tools, your frameworks, your models, your methodologies are all very interesting. Your client already assumes you have those. If you’re not contextualizing those to the advice you’re giving your client, you’re just regurgitating something that they could read in a book. You’ve got to learn to build attachment, to find your own voice and to be influential with clients. If the earliest career experiences you’re going to have won’t give you those, I would definitely urge you to think twice about how you choose your early assignments. This is such a great and timely advice, Ron, and I so loved our conversation. I wish that I had more time to connect with you and talk about other topics. I would love to have you on the show in the future. If some of the go-getters want to get in touch with you, what’s the best way that they can do that? Come visit us at our website, Navalent.com. You’ll find a quarterly magazine you can get from us, there’s a great blog, there’s a bunch of great and inspiring videos on consulting and how we think about our consulting work. There are links to the books. If you come to Navalent.com/Transformation, you’ll find our free eBook on leading transformation in organizations and give you our blueprint for how we see change happening and you can incorporate that into your own toolkit. I’m also on Twitter at @RonCarucci and on LinkedIn as well. Come find me and let’s keep the conversation going. I am definitely going to make sure I check you out on Twitter as well, Ron, because you are definitely the mentoring type that younger consultants look for. Thank you for making time to connect with us on the show. Episode 1 – how the MECE Muse all started! 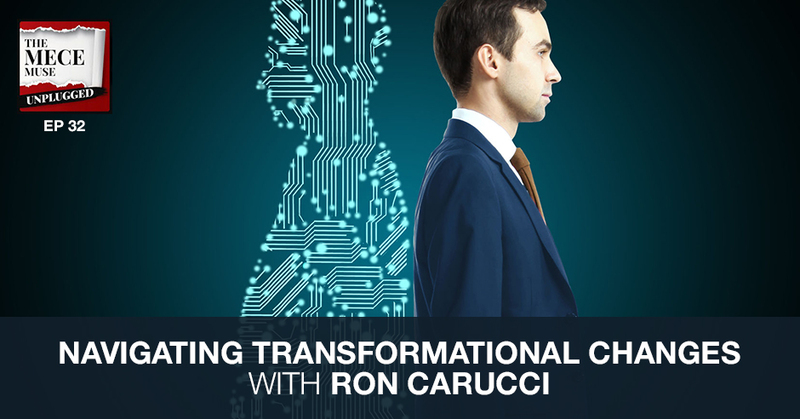 Ron is a seasoned consultant with more than 25 years of experience working with CEOs and senior executives of organizations ranging from Fortune 50s to start-ups in pursuit of transformational change. His consulting has taken him to more than 20 different countries on four continents. He has consulted to some of the world’s most influential CEOs and executives on issues ranging from strategy to organization to leadership. He has worked extensively in the health sciences, biotech, and healthcare provider sectors and in the technology, consumer products, and retail food and beverage industries. He has led work on several large-scale merger integrations and subsequent culture change initiatives and enterprise-level global organizational redesigns.